Anthony Palladino has joined the Board of Advisors of ROKITT, a company providing mission critical enterprise data management and data discovery products. ROKITT, a technology company that offers enterprise data management and data discovery products that enable customers to simplify management of their complex web of disparate data assets, is pleased to announce the appointment of Anthony Palladino as a new member of ROKITT’s Board of Advisers. 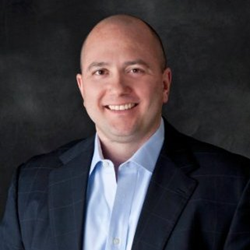 Anthony is currently the Vice President of Americas at Splunk, where he has helped drive significant business growth since 2011, and a Partner at JRC Inc. Anthony brings over 15 years of experience in Sales, Operations, Marketing, Strategy, and Go to Market planning and execution for enterprise technology and data products. Previously, he held executive positions with several leading global enterprise software companies, including HP, BMC Software, BladeLogic and Mercury Interactive. “Anthony’s experience, perspective, and skills compliment the ROKITT Leadership Team extremely well,” said Rohit Mahajan, CTO and co-founder of ROKITT. “Anthony brings strong business judgement and experience with launching fast growing data products. Anthony knows firsthand the significant value and return on investment that ROKITT can provide its customers”. ROKITT ASTRA automatically discovers and self-learns data relationships with up to 90%+ accuracy to help organizations to quickly and accurately baseline the enterprise data landscape. ROKITT ASTRA utilizes machine learning to uncover hidden data relationships while providing a powerful visualization technology to empower organizations to understand and leverage data across several areas of the business. Additional information is available at http://www.rokittech.com. All media inquiries should be directed to Verrion Wright, Media Relations for ROKITT at 551-225-3807 or verrion(dot)wright(at)rokittech(dot)com.